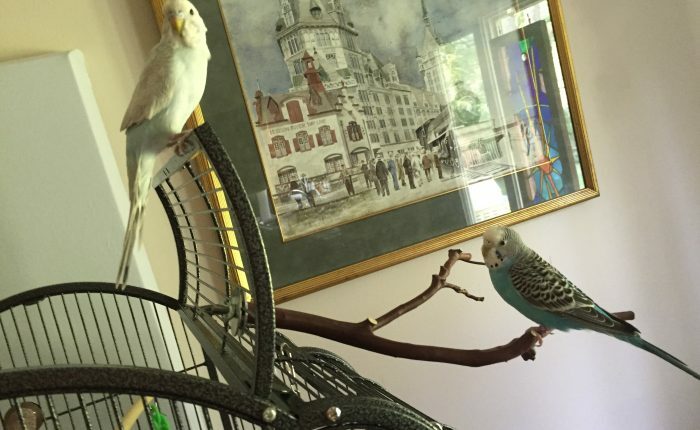 As I’ve mentioned before, the cost of bird-ownership can be pretty high, even for parakeets. The constant stream of toys needed, food, and upgrades to their living conditions add up every month. I’m sure you really don’t want to get a second job outside of the home, because then you’d be taking away more time that you could be spending with your budgies, and your time is the most important thing you can give them. I have been working with a few different companies for a long time to make a little extra money from home, it’s never going to amount to much, but for a relatively small time investment it’s been worth it. Also, since my laptop is right next to our bird cage I’m frequently logging time with the parakeet while I’m doing a survey or checking my stats. Here are the companies that I personally use and recommend. MySurvey.com – I’ve been a member here for well over 5 years, they are definitely trustworthy. You complete a long initial survey and then they send you invites for surveys you may qualify to participate in. I’m not sure if this is true of everyone, but I get about 5 survey invites per day, I try to go in once and week and clear them out. It can be frustrating because you will not qualify for most of the surveys you begin, and you get no points if you are screened out. I have been able to do some product testing through this site as well over the years, which I really enjoy. Most recently my household tested toilet paper and paper towels, in the past we’ve done toothpaste, mouthwash and various body products. Those are a nice bonus too, especially if you like the products, 4 free rolls of toilet paper never hurts! you do have to be comfortable sharing information about yourself such as age, household income and other semi-sensitive data, but this is used in aggregate with other responses and I have never had an issue with personal security due to this site. Points that are accumulated can be cashed out to choose rewards from an online catalog, or you can cash out to PayPal, a paper check, or Amazon gift certificates. I usually cash out to Amazon since that’s where I buy the bulk of my parakeet supplies, and everything else for my house. Paidviewpoint.com – (note – this is a referral link) This is a survey site that works a bit differently, there are no terribly long surveys and they pay out even if you don’t qualify for a survey; however, they pay about 1 penny each for qualifying questions and then about 3-4 cents per questions once you’re in a survey. You can cash out to PayPal but only after you accumulate $15, which can take a while. They send out survey invites intermittently, but not reliably, so I recommend visiting once or twice a day to see if any surveys are waiting for you. This is another reputable site that I have been paid by and have had no trouble with. NCPOnline.com – National Consumer Panel is a Nielsen/IRi Joint Venture – for this site you download an app to your smart phone and then scan every single purchase you make and transmit the data to NCP, earning points each week that you scan. You can also earn points by taking surveys, some are targeted based on your purchases and others are very general. The data you provide is analyzed by NCP and shared with manufacturers and retailers. It is used to shape marketing decisions and has the potential to impact what products are available in stores. NCP also has sweepstakes for members every week/month/quarter and year, there are cash prizes and some big ticket items. You earn entries by transmitting and you can choose to receive survey entries instead of points for surveys. For a long time the points you earned on NCP could only be spent on their reward catalog merchandise, and they did not offer many gift card options because they don’t want to influence your spending patterns, which makes sense. Recently they started offering cash outs to Amazon gift cards. NCP is a little more exclusive than MySurvey or PaidViewPoint, you have to apply to be a panelist, and your acceptance depends on whether they are recruiting in your area. I’ve been a part of the panel for a number of years and even though scanning can be tedious it’s well worth it. Also, I do like thinking that I could influence the marketplace. 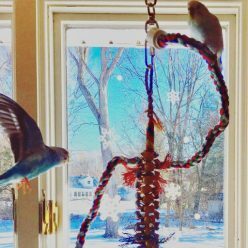 So – those are my tips for making a little extra money to support a millet habit! If anyone else has any good sites please feel free to comment. I would love to make some extra cash. I will check out these places you recommended. Thanks for the tips! As a single mom, I am always looking to make some extra cash! Such helpful tips! I love finding ways to earn extra cash! Great and informational post. Thoroughly enjoyed reading it. These are all great recommendations to help earn a little cash. I doesn’t hurt to do some surveys in your free time and earn money, right? These are good tips – I have an aunt who uses survey sites to supplement her income, and she really enjoys it. I think she also likes that it gives her something to do in her downtime. Thanks for sharing these links! Think I’m going to sign up this week and make some extra cash during my down time. Thank you for sharing this because sometimes it is hard to know which ones are trustworthy. Great thing to know just in case someone is meeting extra cash. For babies do you get expensive! I’m going to have to use some of these to make a little extra money. It would be really nice. I never know which ones are really trustworthy and get scared to do it. It’s always nice to earn a little extra every month especially if you can do it at home. I think this is really awesome! It’s would be great to earn some moolah while you’re at home, resting. These are great resources, thanks for the list! Thank you so much for sharing this. We all need that little extra! These are such great ideas. I have a very close friend who will be leaving her corporate job in June and I cannot wait to share these ideas with her! Thank you! I tried NCP for about an hour. It was so much work it wasn’t for me. I will look into the others you have recommended thanks !! NCP can be a little intsense – but the payout rate to amazon gift cards makes it worth it (for me) & the longer you stay in the better the compensation. This sounds awesome! I like the opportunity to ear some extra bucks to working from home. Wow I’m always researching ways to make a little extra money! With kids, it’s amazing how much money seems to just fly out of my pockets! I’ve never heard of these websites before! Surprising actually! I’ll have to check these out and let you know how it turns out for me! Thanks!